The existing £1 coins will undergo demonetization from Autumn 2017. Is your business ready for this change? 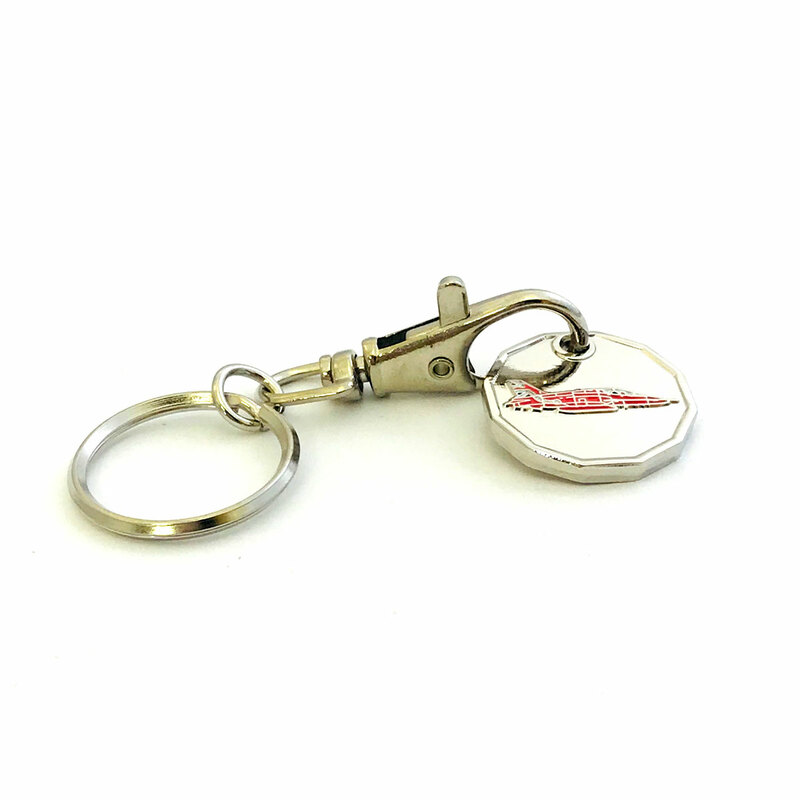 This is the best time to order your custom trolley coins, also known as shopping trolley tokens or trolley keychains. 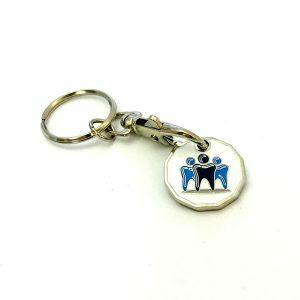 Personalised shopping trolley coins / trolley keychains/ trolley tokens are a fantastic addition to the promotional industry. 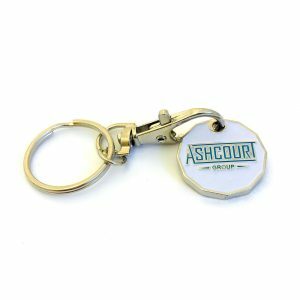 The coin, which represents a one pound coin, is detachable from its key chain attachment and can be used for supermarket and airport trolleys as well as changing room lockers. We always recommend using both sides of the coin to maximise exposure and message. 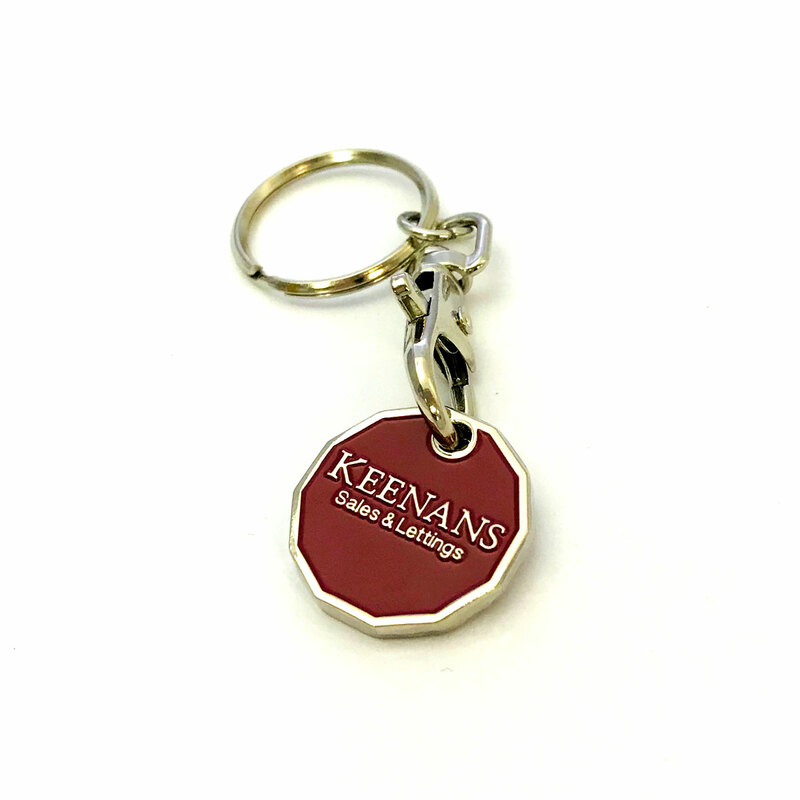 A practical and useful promotional item which will be used over and over again. We work with Schools & Universities, Charities & Fundraising, Corporate, Clubs, Associations, Public Sector, Consumer Brands and Agencies to create bespoke shopping trolley coins/trolley tokens designed for your needs and branding. Trolley keyrings are available in a variety of high-quality fittings and finishes at very competitive prices. The dimensions are 23.43mm diameter x 2.8mm thickness and we can manufacture virtually any design and colour to meet your individual specification. Colours are matched using the Pantone Reference System. 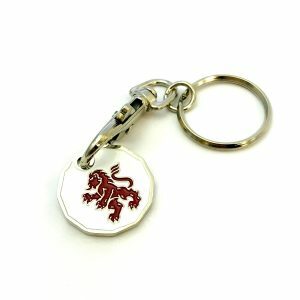 We can price match if you find a quote cheaper on another website.